Mr. CY Shu has devoted himself to Semiconductor realm for more than 30 years, participated in the development of IC industry in Taiwan, which is originated in transferring technology from RCA Company, USA. 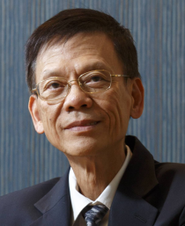 In his long career path, Mr. CY Shu contributed to the IC industry through executive management position at ITRI, TSMC and UMC. He joined Hermes-Epitek in 2001, and since then has served as president & COO. From 2004 till 2016, he also worked for HMI as President first and then chairman, establishing a Taiwan based manufacturing plant for e-Beam inspection tool and facilitating e-Beam inspection technology to become a must-have tool for advanced IC manufacturing wafer fab worldwide. Mr. Shu has received BS from 1973 NCTU EE and a master’s degree in Optoelectronics from NCTU in 1985. He received an Outstanding Alumnus Award from NCTU in 1999, and elected Fellow of Chinese Society for Management of Technology (CSMOT) in 2008; and in 2014, Mr. Shu received the ERSO Award in 2014, which is sponsored by the Pan Wen Yuan Foundation. Moreover, Mr. Shu has served as the chairman of IC Committee and High-Tech facility committee in SEMI, and also the director-general in Chinese Professional Management Association Hsinchu (CPMAH ) for two terms. Mr. Shu dedicated himself to not only Semiconductor realm, but also contributed to the public affairs and community services.